Rated 5 out of 5 by pennmom36 from A Land Forged By Fire Myths of the World has brought us another fantastic legend from an ancient land forged by fire, a land that had been nearly desolated by a greedy dragon! The dragons of the five elements eventually sealed the dark dragon's soul into the Golden Heart, but something or someone has awakened this angry dragon once again. Legends have been foretold of the dragonslayer with a Golden Heart, but do you have what it takes to stop the dragon and his Terracotta army before he enslaves humanity forever more? 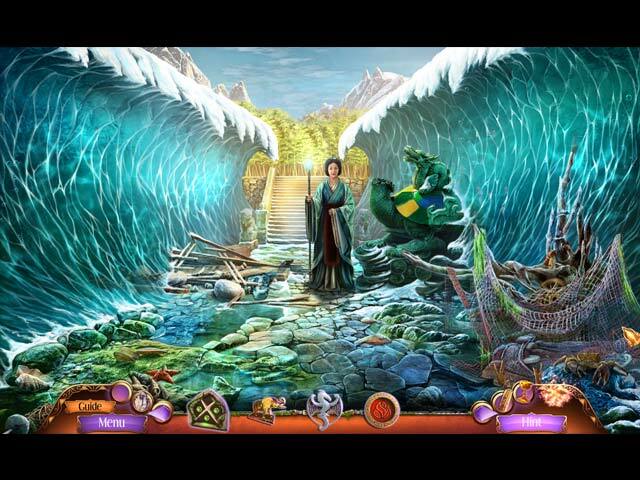 The Hidden Object Scenes are never boring in this game, but just in case, you have the option of playing Mahjong. There is such a variety of HOP's, silhouetted shapes, interactive list finds, multiples of a single item, descriptions and even items associated with the combination of several silhouettes! The Mini Games are FANTASTIC, just the ones within the Golden Heart are entertaining and unique let alone the full length ones. I'm always surprised when a single new puzzle pops up but all of them, wow! 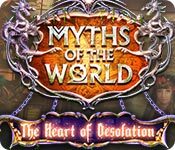 The Collector's Edition comes with replayable Puzzles and Hidden Object Scenes, Achievements, Music, a Souvenir Room, Art, Mahjong, Golden Heart Puzzles, Collectibles, Morphs, a built in Strategy Guide and a Bonus Adventure, enjoy! Rated 4 out of 5 by rpggramma from GOOD GAME! Good game; seemed long to me. Good interactive map; no real journal, not too much info. Info came in little video snippets. I prefer journals; it lets you have your info at hand when it is needed! 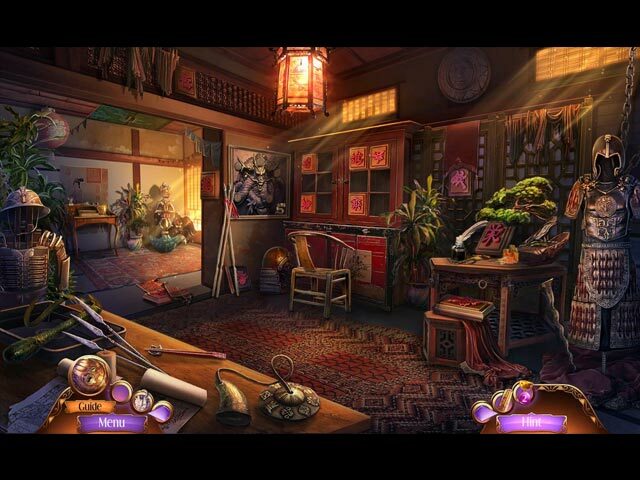 HOs and puzzles very good, different and not too easy. FUN GAME, ENJOY! Rated 4 out of 5 by graceland9 from Great Gameplay but... I get that the writers and game designers were trying to create a Eastern fantasy / mystery, but - hello. A little research is necessary to create a realistic world, even within a HOA. Are we in China? Japan? Thailand? South Korea? 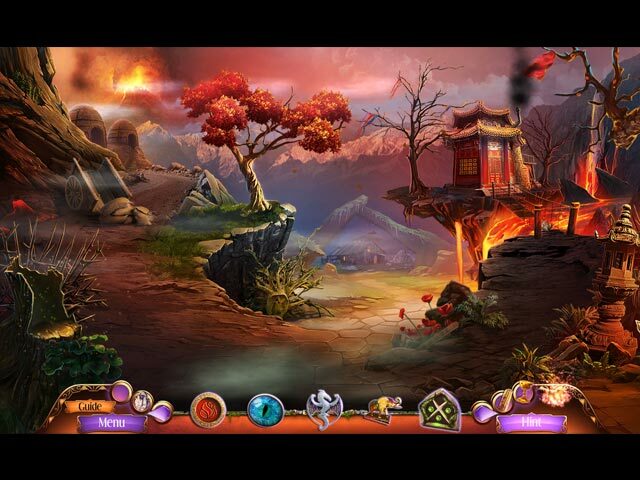 The dragon storyline is great - I like the concept of the golden heart, nd I loved the puzzles. The HOS were great too. But the characterization was lacking (pure stereotypes with the inscrutable wise elder and mysterious little girl.) Too bad, because the graphics are great and otherwise, I really enjoyed this game. You survive a plane crash and find yourself in a town where terracotta soldiers attack the people. Meanwhile, the dragons are in a serious snit, and you have to use the Golden Heart to forge peace with them. Don't get me wrong, it could be a really great story. But PC it's not. I'm going to recommend this for pure gameplay alone, but don't expect a lot of accuracy in the story. Rated 4 out of 5 by denniann2 from a varied HO game has a custom level. interactive map. you are tracking the dragon king that is controlling the terra cotta soldiers. this has an Asian theme. not overly enamored of the game. the HO scenes are sometime multi-layered. sometimes the objects are small or hard to find. sequel.....i think so. Rated 3 out of 5 by bessiegirl from passable I have all the Myths of the World series, but I can't say this is one of the best. Way too much dialog, the voice overs were awful and irritating. Nothing worse than a whiny little girl trying to fake an accent. I set my game play in options to custom so I could lower the skip/hint speeds which really worked well as the hint works as a transporter hint instead of constantly have to open the map. There were a lot of puzzles which could be very interesting for a puzzle love for which I am not. If I can't do it quickly, I don't do it so the quick skip refresh was a lifesaver. HOS scenes were different but a bit tricky. Story was dorky and I skipped all the endless dialog and cut scenes...you didn't miss much unless you are into the story. Graphics/animations were good, but a little to colorful at times. It was an OK game especially since I was able to get it on sale. Don't know if I would have paid full price or even used a credit. Rated 3 out of 5 by spythere from Happy Chinese Fair: Picturesque with Pitiful Dragons So we survive the umpteenth plane crash. By the way: I wonder why we (the player) always stretch our arms OUT against the imminent crash/explosion/monster/arrow. Personally I'd protect my HEAD with my arms - but maybe it's just me ;) Anyway, we land smack in Eipix Land which wears now a Chinese decoration. Wait, Chinese? You never can be sure. Some people wear Chinese clothes, others Japanese or Tibetan, all a bit mixed up. As well are the characters: they oscillate from Japanese Kanji to Chinese Pinyin and back again. You'd do well to leave your common sense in the plane wreck, since it would only hinder the smooth game play, lol. You'd start to ponder why Mu must be a child and speak in this whiny, sugary voice; you'd be puzzled about a lot of things in this game. It's nevertheless fun to play, mainly because of the mini games and HOGs - which are on the easy side, but a pleasant sight, varied and riddled with riddles. Some of them however rehashed: I'm positive, to have answered „I sit in the corner and travel around the world“ already in the last „Hidden Expedition“ ;) The Muzak is uninspired as usual. It attempts to appear Asian but doesn't quite success and quickly gets monotonous. I sometimes really wonder about Eipix' musical taste. Also the Terracotta army is a missed opportunity. In reality, this army consists of over 8000 soldiers, 130 chariots with 520 horses and 150 cavalry horses. The whole army was buried in 210–209 BCE with the first emperor of China to protect him in his afterlife. These figurines impress through their sheer legion. Installing this army into the game could have been awesome, but was rather poorly transposed. A clay statue moves stiffly, with crunching joints, if it moves at all. It surely doesn't jump cat-like into your face with outstreched arms. The dragons are disappointing. The only time dragons look like dragons is during the short cuts, when they fly. In close ups they appear rather silly. Why must the dragon king have the look of a meerkat with antlers? Do the Pixies ever study animals' physiognomy? or evolution? why some animals have antlers, others not? why small species sometimes grow skin flaps and warts to blend into the environment and become invisible? why mighty dragons don't need to hide and become invisible, and thus don't grow skin flaps? I doubt it. Eipix just happily throws all kind of animal attributes hotch-potch together into the most unbelievable menagerie :D But it's still a good and cheerful game if you don't fret too much about a questionable story, absent logic or absurd graphics. Not quite 3.5 stars. Rated 2 out of 5 by gertie23 from Very frustrating game The fact that I had to click numerous times on the intended object/place to move forward was very frustrating! Monty1, Here is some info about the Sumatran (hairy) rhino: Members of the species once inhabited rainforests, swamps, and cloud forests in India, Bhutan, Bangladesh, Myanmar, Laos, Thailand, Malaysia, Indonesia, and China. In historical times, they lived in southwest China, particularly in Sichuan. Rated 2 out of 5 by monty1 from Couldn't get into it I rarely write reviews and it's usually for a game that I just loved. I just had to comment on this one though because I gave it two tries. I tried the collector's edition and deleted it after about 30 minutes and the SE version I only made it about 15 minutes. I was very surprised to not like this game as I usually really like this developers games. Right off the bat it was irritating to have to set controls to fly a plane you know is going to crash. Then to see a hairy rhino in Asia, not Africa, was just wrong...on two counts. The play was very disjointed and just seemed to ramble in different directions with no idea where you were headed next. Anyway, I just can't recommend this game. Rated 2 out of 5 by Granny_Gruff from Story is Sorely Lacking ... Everything. You are piloting a plane to drop goods in a remote site in the Himalayan Mountains. After a plane crash, you grab your elephant statue to break the windshield, climb out over the abyss the plane seems ready to drop into, and stand around looking at a hairy rhino. You help a young girl out of the side baskets mounted on the rhino and follow her into the village she wanted to escape. You head for a secret shelter she points out as a dragon breathes fire across the village. You find the dragon is not the only problem faced by the villagers as terracotta warriors are also roaming the streets. As in most Eipix "Myth" games, this one has beautiful artwork, decent VOs, mini-games from super easy to super hard, a variety of HOPs, an overly complicated story, and much wandering back and forth. There are four levels of game-play, including custom. I just can't get into the story and that's a game killer for me. Cute as the girl is, helpful as the lady dragon tries to be, I'm willing to leave them to their respective fates and get out of Dodge(sic) alone. Once again I have to say I can't choose a game for its beauty alone. I need a good involving story. This is not that story for me. Please try it for yourself. Rated 1 out of 5 by 9otters from Even DRAGONS Can Be Boring. BASED ON COMPLETED GAME I have to agree with "roaming" on this one. I made the mistake of using game credits to get the CE version of this game. I played the demo. Twice! But, instead of listening to my gut, I let my head take over and talked myself into it because of all the rave reviews of the CE game. The entertainment value is just SO lacking for me. Yes, we're in a "new" situation/world, but we're playing the same Eipix game. And without the stellar graphics that used to be their signature. Imo, their graphics have been going downhill for a while now. They tried to jazz it up a bit with some extra puzzles and mini-games, but for me, it was still just blah. SO EASY. No challenge. Trying to follow the disjointed story, playing "take this here and put that there", map jumping to get through because it wasn't really that interesting. Really not much thinking required. If I don't have to THINK, I can't get invested in the game. If the graphics are so-so, I cannot delight in the world that has been created. If the items mentioned above are lacking, AND the story leaves me cold, even DRAGONS can be boring. More power to all who liked it, but I can't be counted in your number. Rated 1 out of 5 by roaming from Confucious Says: Many Irritations Add Up to Aggravating Total I couldn't get into this game. I wanted to stop the demo after about 15 minutes, but to give it as much of a chance as possible, I stayed for another 12 or 13 minutes before I bailed out. (Ha! Airplane crash reference.) There was one puzzle after another, way too many in the few minutes I played. Fortunately, you can custom set the skip to 10 seconds. The HOS were clear enough. Of the two I encountered, both involved a second step, which for some reason I found annoying. There is a little girl interlocutor whose voice I thought was highly (pun intended) irritating. She's there to tell us what's going on, but it doesn't help. The story is still meandering and disjointed. I quit when I ran into something I find utterly superfluous in games: pieces of back story inserted into the game at intervals, I'm sure as a way to make the game seem longer. I can't even give credit for the artwork, which is about on par with most newer games by quality developers. I thought It was uninspired, twee, and trite.